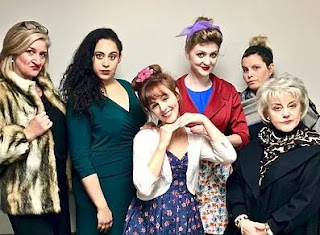 Friends, Theatre Elision's super short run of the super fun musical spoof RUTHLESS! has one last performance today! Read what our bloggers thought, and then get your tickets stat! "Darkly hilarious, gorgeously sung, cleverly written, campily performed, a spoof of the entertainment industry and shows we love, RUTHLESS! is a super fun 90 minutes that you should add to your weekend schedule." "The six women in the cast hit all the right notes and also have perfect comic timing. The show directed by Lindsay Redman was able to hit just the right level of absurdity to make the show hilarious without becoming eye-rolly." 2017 Twin Cities Theater Blogger Award Winners!